Kitchen! Kitchen! : roasted goose, a holiday tribute......at kitchen! kitchen! roasted goose, a holiday tribute......at kitchen! kitchen! ﻿My holiday table is never without a roasted goose as soon as Thanksgivng comes around. Growing up, home cured ham made by my aunt graced our holiday table. 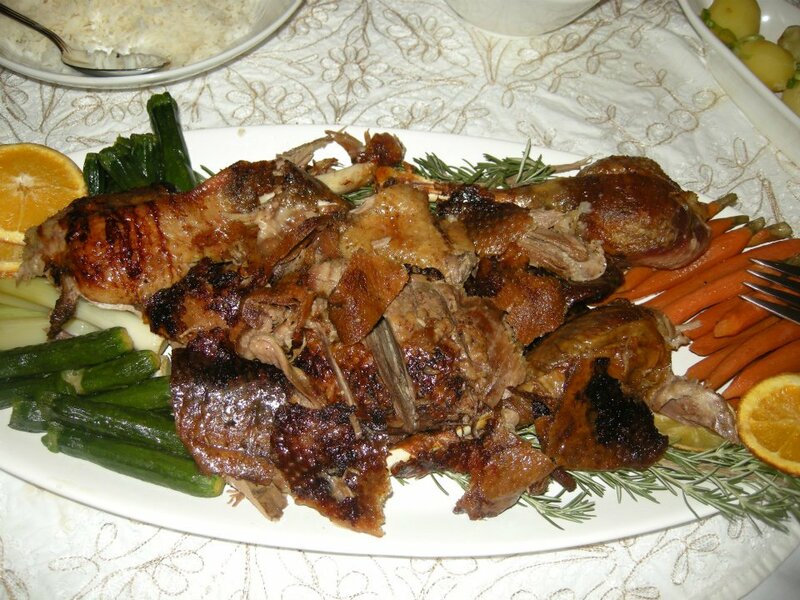 Then I got myself integrated in a household with a German ancestry and roasted goose became our staple. I actually prefer the goose than ham although as a tribute to my mother and my aunt who cures the wonderful succulent ham, it too graces my table on Thanksgiving and Christmas.﻿ Preserving some traditions that you grew with reminds us of where we came from and who we are.